When Digby the sheepdog arrives at his new farm and discovers he has only six silly sheep to herd, he thinks it's going to be easy-peasy but these sheep won't be told where to go, or what to do! Digby is forced to resort to increasingly drastic measures in order to get the sheep into the pen - but when even tractors and helicopters fail him, he despairs. 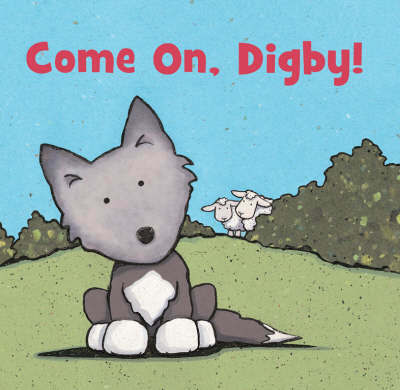 Come on, Digby!" say the cows and pigs encouragingly, as they huddle round to make a helpful suggestion And finally Digby learns that minding your manners is often the best way to get what you want.